Total Run Time: 148 min. Fritz Lang's expressionist sci-fi masterpiece paints a futuristic dystopia that has had a deep impact on cinema history. Filmmakers like Ridley Scott (Blade Runner), George Lucas (Star Wars), and Tim Burton (Batman Returns), kneel at the alter of Metropolis. 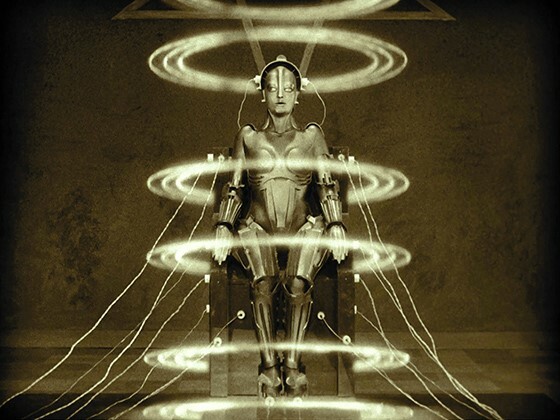 With cinematographer Karl Freund and special effects masters Günter Rittau, Konstantin Tschetwerikoff, and Eugen Schüfftan employing every fantastic trick of the trade, Metropolis's effects still dazzle. In an extraordinary turn of events, Lang's original version of Metropolis was discovered in a Buenos Aires museum and this—the only extant copy of Lang's original vision—served as the basis for the 2010 restoration that returned 25 minutes to the film!